At one of the training sessions we ran this week with volunteers who are keen to learn more and do more for people seeking the right to remain in the UK – we looked at evidence. What ‘evidence’ means, in the context of asylum, immigration and human rights cases. How someone can get this evidence, and how others can help them. We discussed how important documentary evidence is, when so many legal cases are refused on the basis of credibility – the Home Office or the courts don’t believe you are telling the truth. 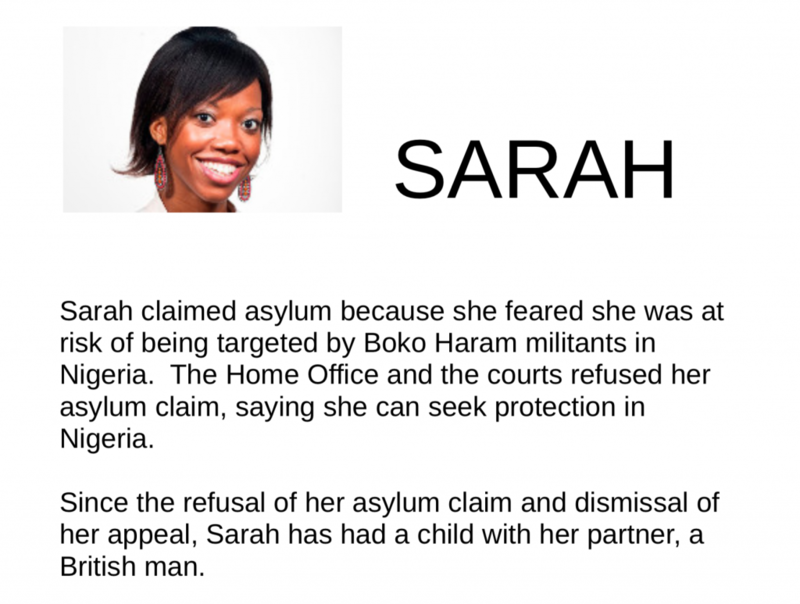 If you put aside the asylum side of Sarah’s case (as many people do if they can see no further legal avenues based on risk on return), what is Sarah looking to prove? Based on the limited, and deliberately vague, information provided in this exercise, Sarah’s case is now revolving around human rights – specifically, Article 8 of the European Convention on Human Rights that protects the right to family and private life – and the rights of the child. In the session, we discussed how evidence in Sarah’s case might address two aspects: Sarah and her family’s life in the UK; and what their life would be like in forced to live in Nigeria. As expected, the questions we asked raised lots of other questions, which would need to be explored in order for Sarah to know what evidence she should be looking for. Ideally, she would be discussing this with a lawyer. However, Article 8 cases do not come under legal aid, so Sarah might not be in a position to get the expert legal advice she needs. Article 8 cases are also those where families, supporters, communities can both be the evidence and provide the evidence. Colin Yeo, in his blog post on asylum appeals for young Afghan men, wrote of the importance of witnesses from the community, and their appearance at court, in Article 8 appeals. is the child registered as a British citizen? are there any other aspects of law, such as EU law, that should be considered? are Sarah and the child’s father still together? If not, who does the child live with? Are both parents involved in caring for the child? are there other extended family members here in the UK? Do they play an important role in the life of Sarah, her partner, her child? are any family members in the UK dependent on the support or care of Sarah or her partner? has the child spent any considerable time in Nigeria, been to school there, or have close family members there? presuming the child’s first language is English, is that the first language of where the family would be living if they were forced to move to Nigeria? does the child have any learning, behavioural or other special needs? Could these needs be met in Nigeria? We discussed the need to prove the identity of the child (through a birth certificate), and maybe paternity (sometimes DNA tests are used to evidence this). It was suggested that the child’s school might be able to provide a statement about the support the child receives, and how the disruption of leaving the UK (or the child’s mother leaving the UK) would affect them. Perhaps an educational psychologist would be able to comment further on this? Or a psychiatrist if there are diagnosed mental health needs involved? A reader of this blog post suggested that if the parents are no longer living together, the one who visits the child needs to keep bus tickets, train tickets, texts, photos of activities and everything that can go to showing their close and continuing relationship. 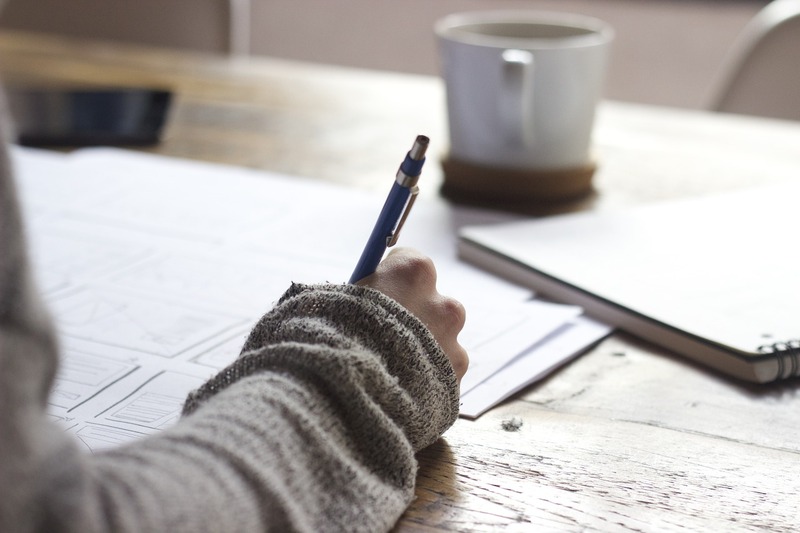 Other family members might be able to provide statements about the family’s life in the UK, as might community groups, faith groups or other networks they are part of. We also discussed how a common response from the Home Office (and sometimes even the courts), is that family life would not be breached by removing Sarah from the UK – either the family could live together happily in Nigeria (and that is why evidence about ties to the UK, people dependent on Sarah or her partner in the UK, any special needs of Sarah, her partner or child that could not be appropriately addressed in Nigeria, would become important); or that family life can be maintained by occasional visits and/or Skype calls. Although this is patently absurd, it’s best to prepare for this all-too-common response, and have your arguments and evidence ready.